Malaysia is a country consisting of mixed languages, cultures, religions, cuisines and so much more. 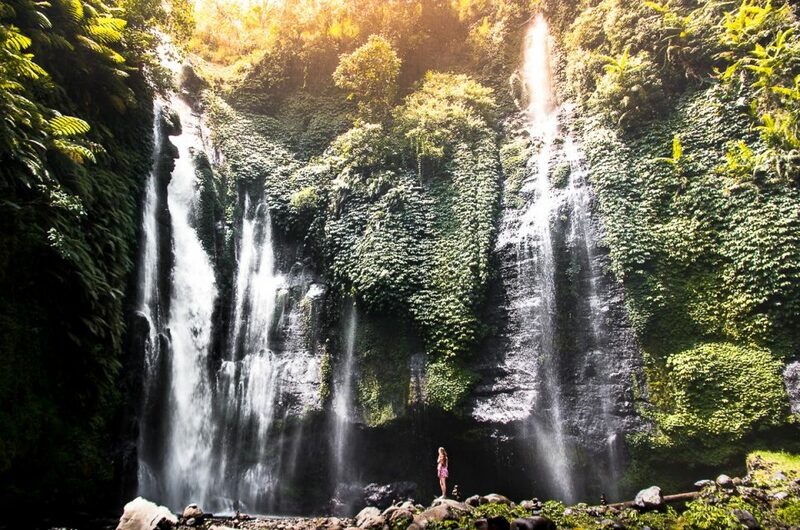 Vibrant cities, stunning architecture and some of the most incredible nature Southeast Asia has to offer. Malaysia basically consists of two complete different worlds: the peninsula and a part of the island of Borneo that Malaysia shares with Indonesia and Brunei. On the peninsula you can find bustling cities but also beautiful tropical islands great for snorkeling and diving such as the Perhentian Islands. Malaysian Borneo, however, is more known for its nature such as rainforest, Mount Kinabalu the highest mountain of South East Asia and lots of amazing diving/snorkeling locations. Traveling to Peninsular Malaysia yourself? Keep on reading for our recommendations on places to visit in Malaysia, accommodation and things to do in Malaysia! Malaysia Things to Know Before You Go– like any other country it is better to come prepared, then have your vacation ruined. Check if you need a visa, if you are traveling in the right season or perhaps you are even looking for some general advice so you can completely enjoy your holiday care free. For exactly that reason we have compiled a list of 19 things you need to know before going to Malaysia. Daily Budget for Malaysia – Wondering if you can visit Malaysia into your budget? In general, traveling Peninsular Malaysia is pretty affordable, although slightly more expensive then some of the other countries in Southeast Asia. Looking to create a budget, or perhaps just simply wondering how far your money can get you? Read our post on exactly how much it costs to travel in Peninsular Malaysia! To make it easier for you we have included example prices of food, accommodation, activities and transport. Travel Insurance – There is one thing we never leave home without, and that is travel insurance. No matter how careful you are, you never know what will happen during your travels. If you haven’t looked into getting travel insurance before, now is the time. 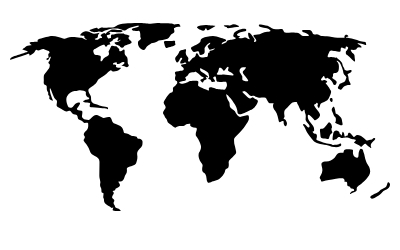 One of the most popular ones out there is World Nomads, the travel insurance that is recommended by Lonely Planet. Kuala Lumpur – Kuala Lumpur, Malaysia’s capital, is defined by a modern skyline with the Petronas Twin Towers standing out from all the buildings. It won’t take you long to fall in love with Kuala Lumpur; while the city is easy to get around by using the MRT, it is an absolute joy to walk around neighborhoods such as China Town or Little India. Make sure to stay a couple of days in the city, there is enough to see and to do before you head to your next destination! Cameron Highlands – Looking for peace, quite and tranquility? The Cameron Highlands are the way to go… Up in the mountains you can escape from the heat and enjoy the beautiful and lush green tea fields. The mild heat and freshness of the mountains make it a perfect spot to go hiking for a day, or perhaps even two. Besides the tea fields you can opt to go strawberry picking or, of course, enjoy the delicious tea, there are many things to do in the Cameron Highlands! Melaka – A small town on your way from Kuala Lumpur to Singapore. A perfect two night short stop to admire more of Malaysia’s diverse cities. Melaka has a rich colonial past, which can be seen in the large diversity of architecture. Besides that, it is also known to be a UNESCO World Heritage site. Tasting the delicious street food in Melaka and admiring the colonial buildings is just one of the many things to do in Melaka! George Town, Penang – One of the most popular destinations on Peninsular Malaysia, and we sure understand why. George Town, a UNESCO World Heritage Site, can be found in Penang, and is famous for its street art, British colonial buildings and Chinese shop houses. 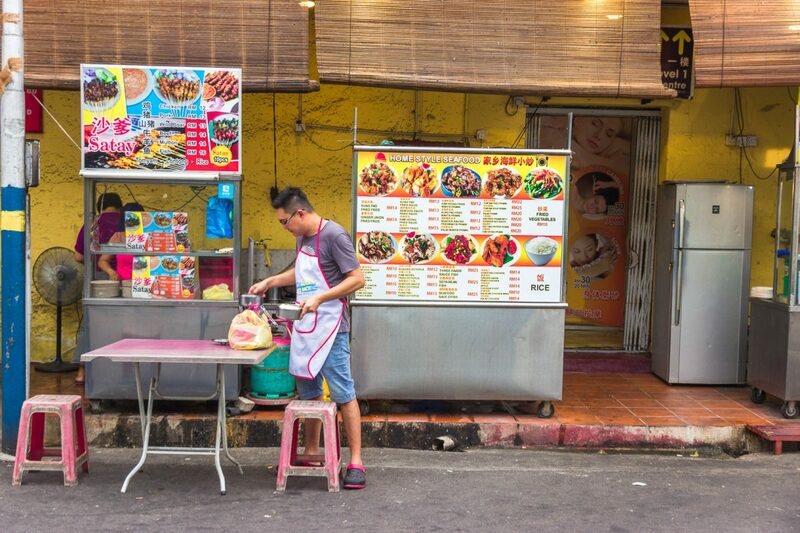 The city makes a true multicultural combination and delicious food is sold on every street corner. George town will keep you amazed for days and the relaxed vibe hanging around the island will make it hard to continue to the next place! Ipoh – Looking for a more off the beaten path destination? Visit the small town of Ipoh. Conveniently located between Kuala Lumpur and Penang it is a perfect stop in between! While Ipoh has only recently been gaining popularity from foreign travelers and tourists, it is well worth a place in your itinerary. 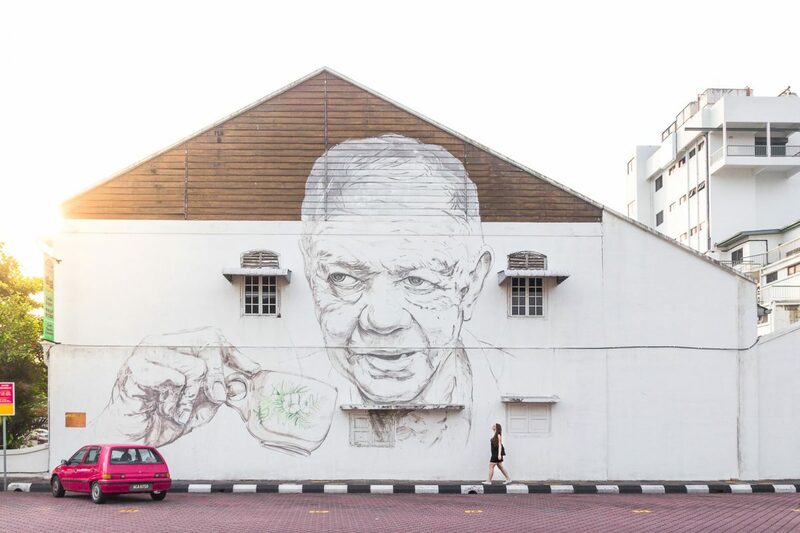 Ipoh is home to the traditional Malaysian white coffee, and just like Penang, has some absolute stunning street art that deserve a bit of your time. Combine that with some tasty street food, which can be found easily, and you have the perfect place for backpackers. Explore the Batu Caves: Located approximately 13km North of the capital Kuala Lumpur you can find the Batu Caves, one of the most important Hindu shrines in Malaysia. 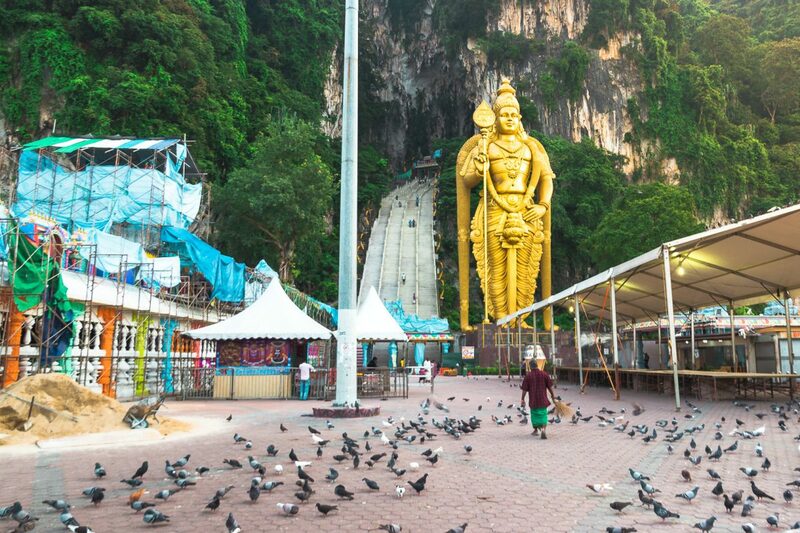 Perhaps the most iconic feature of the Batu Caves is the massive 42 meter high statue of Lord Murugan, which is actually the second largest statue of Lord Murugan in the world. Next to the statue you will find the 272 steps that will take you into the actual cave temples (be warned for the many monkeys climbing and jumping around, they seem sweet but they are known for stealing stuff out of your backpack). Don’t forget you are visiting a temple, so you will be asked to dress modestly. Street Art in George Town: the banner of this page, and the picture above, is only one of the few street paintings that can be found around George Town. Ask your hostel or hotel staff for a map with the locations of the street art, even with a map they were harder to find than we expected. One of my favorites were the swings on the step by step lane, which we definitely would have missed if we had not used a map! 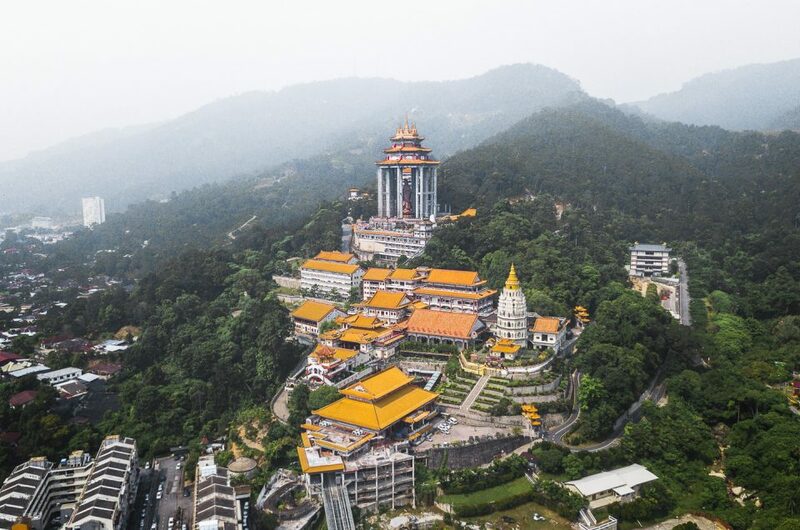 Awe at the Kek Lok Si Temple in Penang: Malaysia is a country that is full of surprises, but none of them were as big as the Kek Lok Si Temple in Penang. One of the most undiscovered and underrated sights to see in Peninsular Malaysia! If you had not heard of it, be sure to put it on your Malaysia itinerary now so you won’t forget about it. 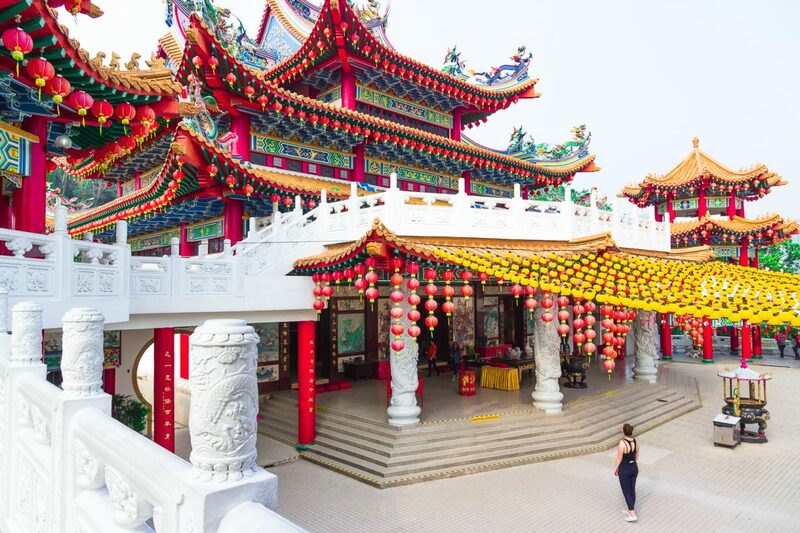 The Kek Lok Si Temple is one of the largest and most diverse temples we have ever seen. Equipped with elevators, large statues, pagoda’s and much much more. Whilst located slightly out of the touristic centre of George Town, it is well worth the hassle to get there! Visit the Thean Hou Temple: In the city of Kuala Lumpur you can find one of Malaysia’s most beautiful temples: The Thean Hou Temple. 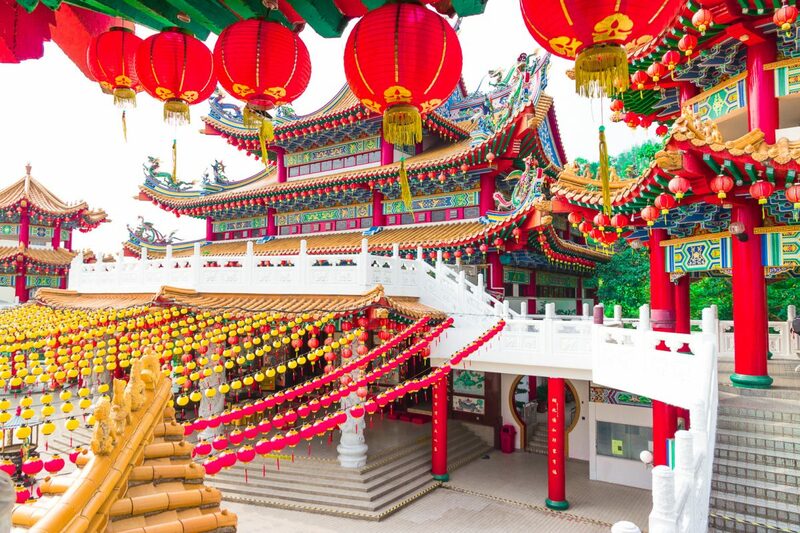 The Thean Hou Temple is something that is not explored by many yet, so be sure to put it on your Kuala Lumpur itinerary before the crowds discover it. A stunning temple, which is actually one of Malaysia’s largest temple, consisting of traditional and modern architecture, a true beautiful sight to see! The Petronas Towers: Kuala Lumpur is known for a couple of things, and the Petronas Towers are one of them. Be sure to add this as a quick stop to your list, simply to admire it, take a photo with it, or go shopping in the Petronas Towers! Within the mall you can find a large shopping mall, including a food court and even two supermarkets. Head to the other side of the Petronas Towers to admire the KLCC park and the landmark from a different view! Admire Ipoh’s Street Art: Ipoh, the smaller and less touristic version of Penang, is home to street art of the same artist as the famous street art in Penang. However, Ipoh’s street art are a lot less known. Wander around the town looking for the different street art, while enjoying some delicious coffee and amazing food. 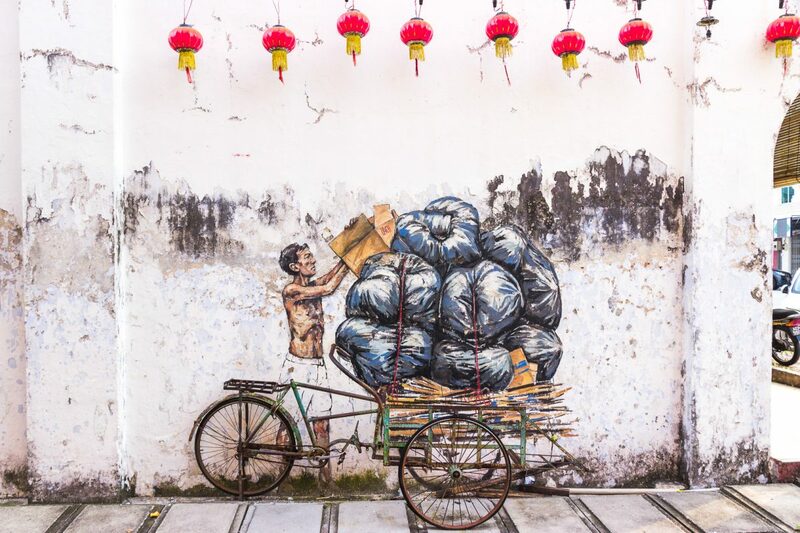 Ipoh’s street art was one of our favorite things to do in Peninsular Malaysia! Between Cities and Towns – The easiest ways to transport yourself on the mainland of Malaysia is by taking the bus. There are train services available, however, these you need to book in advance as they tend to fill up sooner. 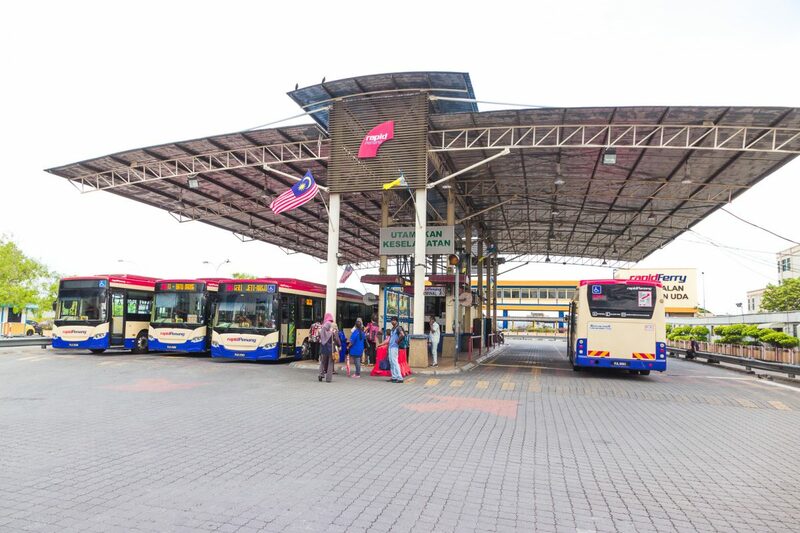 Buses travel more frequently and there are a large amount of bus company’s available in Malaysia that connect the touristic towns such as Malacca to Kuala Lumpur, Ipoh to Penang, Ipoh to Cameron highlands, and so fort. The easiest way to guarantee yourself a seat on the bus is by booking it online. We have used the Redbus Malaysia website. Simply type in the desired date, your preferred time and have your pick. The buses include reviews and often you are able to select a seat already as well. Pay online and simply receive the tickets with the instructions of the bus terminal in your email inbox! Could it be any easier? Another website to book bus tickets in Malaysia is Easybook, however, we have never used their services before so are unable to review them. Within Cities and Towns – In general Malaysia has quite a large public transportation system. Within Kuala Lumpur you have the options to take buses, metro’s and skytrains to transport yourself within the city. You can easily schedule your journey within Kuala Lumpur with the help of Google Maps route planner! Nonetheless, within the smaller cities it might get a little bit harder to find the right bus, or bus station, which means that sometimes you have to rely on taxi’s. Since taxi’s can get a little bit expensive you also have the option of using Grab. Grab is like the Uber of Southeast Asia, and with a couple of clicks on your phone (as long as you have internet) you can easily, and affordably, book yourself a GrabCar! Download the app now here. Kuala Lumpur // Hostel – Reggae Mansion – While not the cheapest hostel to stay at, it might be the most luxurious hostel you have ever been at. Reggae Mansion offers pod style dorms, each with your own comfortable mattress, a plug, mirror, light and a curtain for maximum privacy and a good night sleep. Besides that, the hostel is also home to an amazing, and well visited by expats, rooftop bar which offers drinks at an affordable price and an amazing view. Staff is friendly and helpful, could not recommend this place more! 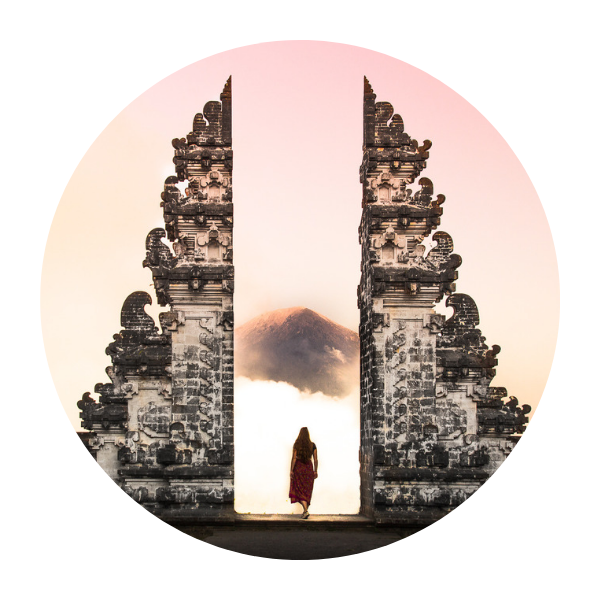 Kuala Lumpur // AirBnB – Not particularly looking forward to sharing your room with other people? Understandable! AirBnB is a great way to get hotel like accommodation for budget prices. From studios to luxury apartments, Kuala Lumpur offers it all! 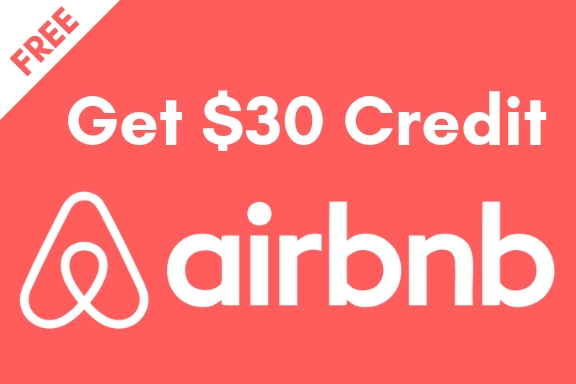 And to make it even better, if you sign up here now for AirBnB you will get a 30$ credit to be used on your first (or future) bookings! Melaka – Ringo’s Foyer Guest House – Another hostel that offers pod style dorms, and an amazing rooftop with a little bar. The reason I would recommend this place is for the great atmosphere as created by the staff. The hostel is a warm and welcome environment to solo and non solo travelers, and staff will help you with even the smallest things. Had an amazing staff, and would definitely recommend it! Penang – The 80’s Guesthouse – A small but lovely guesthouse in the centre of George Town. This hostel is conveniently located on love lane, close to the many local restaurants of Penang, but also to the street art. The staff is extremely friendly and helpful and the hostel itself is clean. The design is industrial, giving it a very modern and clean look. Check out the 80’s Guesthouse here! 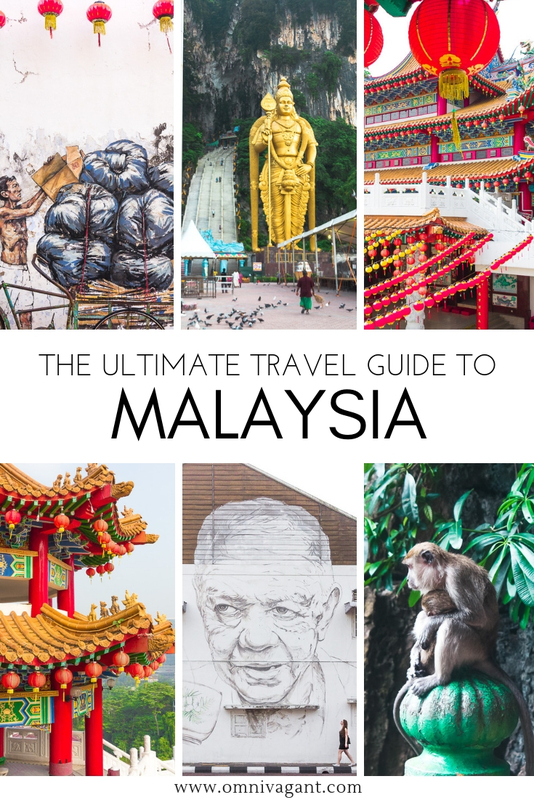 The Ultimate Malaysia Travel Guide – Pin it! 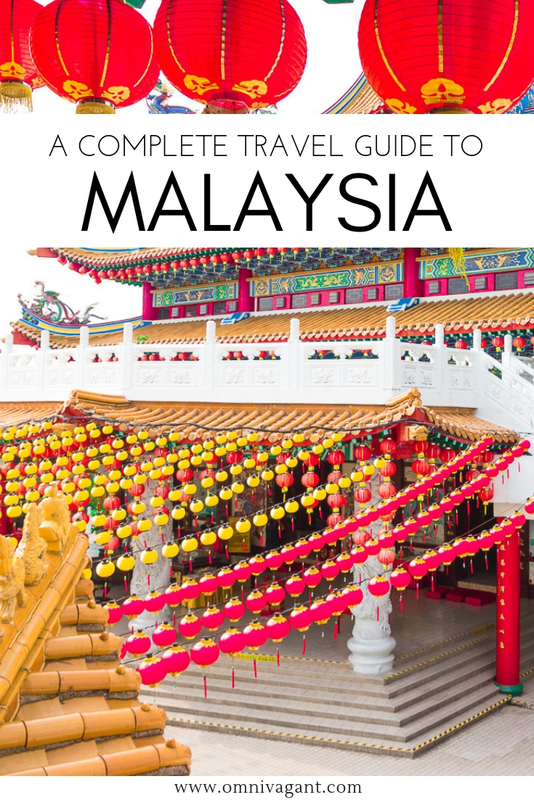 And there you have it, the ultimate Malaysia Travel Guide. Is there anything missing on the list? Be sure to tell us in the comments down below! We absolutely loved exploring Malaysia, and could not recommend it more to you. If you have any questions left regarding traveling in Malaysia, don’t hesitate to ask them down below.